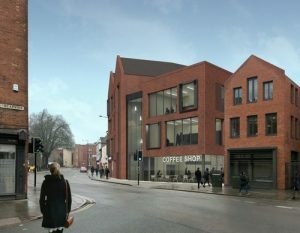 Plans submitted for Bold Lane Offices Development. Derby City Council and developers Jensco have submitted plans for a £6.3 million office development in Bold Lane which could see more than 300 jobs brought to the city centre. 6 Bold Lane will bring grade A office accommodation to the Cathedral Quarter and once built the offices will offer a modern, vibrant and beautifully designed workplace to be let as a whole or as single floors depending on requirements. The chosen developers Jensco have already completed the Derby Law School One Friar Gate Square building in Cathedral Quarter alongside the 236 bed Agard Court student residential scheme.